Courtesy of Loyola University Chicago Gabrielle Buckley joins the Gannon Center as director and Jeanne Widen will serve as interim dean of the School of Continuing and Professional Studies. Loyola’s Gannon Center for Women and Leadership and School of Continuing and Professional Studies (SCPS) are facing new direction ahead of the coming school year, according to email announcements sent by university administration. Gabrielle Buckley will serve as the new director of the Gannon Center while Jeanne Widen will perform as interim dean of SCPS. Both appointments were announced in May statements from president Jo Ann Rooney and acting provost Margaret Faut Callahan. Announcement of Buckley’s appointment closely followed the news that Janet Sisler — director of the Gannon Center for eight years — would be transitioning to the role of acting vice president for mission integration. In this role, Sisler will assist with a campus-wide “Examen” initiative and evaluate mission and ministry programs on campus. In directing the Gannon Center, Buckley will pay tribute to her alma mater, Mundelein College. The Gannon Center honors the legacy of Mundelein College, an all-women’s Catholic, liberal arts college founded in 1930, by fostering and supporting female academia at Loyola. Mundelein College remained in operation until it became part of Loyola in 1991. Buckley graduated from Mundelein College with a bachelor’s in history before receiving her law degree from DePaul University. She brings extensive experience in the areas of law, fundraising and nonprofit work to her new role. Buckley is currently an adjunct professor of law at the John Marshall Law School in Chicago and a partner at Vedder Price P.C., where she practices immigration law. In addition to her work as an immigration speaker, Buckley chairs the board of World Chicago, a nonprofit working with citizen diplomacy. She’s also a member of the leadership council of the National Immigrant Justice Center and serves on the board of directors of the Midwest U.S. India Chamber of Commerce. “Her record as a thought leader, advocate, and alliance-builder will serve the Gannon Center and the University well,” Rooney and Callahan said in their statement. Buckley will assume her role as director June 1. Widen will lead the SCPS, serving as interim dean, according to a May 17 email. Her leadership follows the retirement of former dean, Walter Pearson. 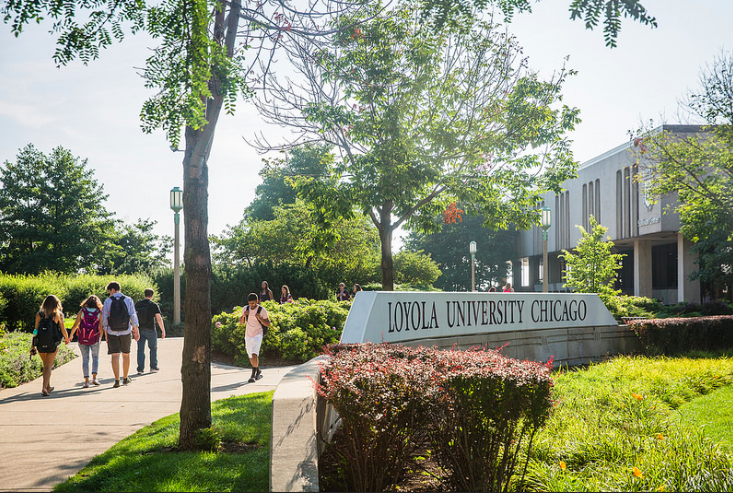 Loyola’s SCPS provides the opportunity for adults to receive a Loyola education through unique evening, weekend and online courses. “Jeanne brings deep expertise to the position as well as many years of teaching and administrative experience in both traditional and online programs,” Rooney and Callahan said. Widen graduated from University of Chicago with a master’s and doctorate in English Language and literature. Her career as an educator began in 1987 when she taught literature and writing. She transitioned to adult education in 2002. In 2012, Widen became director of online education for SCPS, eventually assuming the role of associate dean in 2014. In these positions, Widen helped further develop Loyola’s top-ranking adult education program. 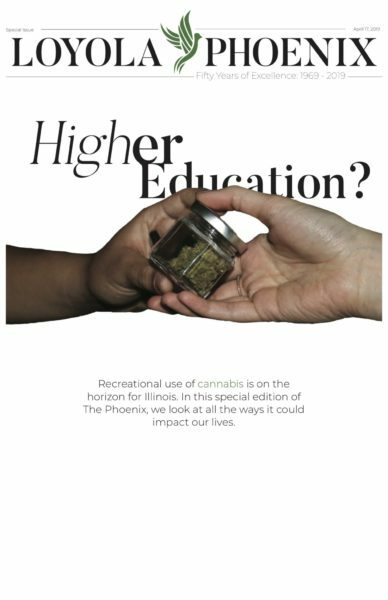 Widen created new degrees and certificates and helped launch SCPS’ blended programs — courses which include a mix of classroom and online work. She also fostered improvements in areas such as faculty mentoring and course development, the email said. Widen assumed her role as interim dean May 14 and will maintain her role until the next dean of SCPS is hired. The permanent dean will be chosen after a new provost is hired — Callahan currently serves as interim provost following John Pelissario’s stepping down last year. The candidates for dean will then be interviewed by the new provost, according to the email. Buckley and Widen didn’t fulfill The Phoenix’s request for comment at the time of publication.